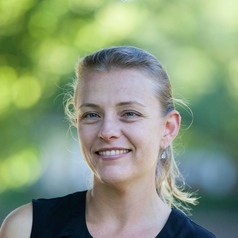 Dr Merryn McKinnon's original degree was in marine science where, after the novelty of moving intertidal snails with a paint scraper wore off, she discovered that talking about her research to other people brought her far closer to her conservation goals than her actual project ever could. This led her to the field of science communication where she has stayed ever since, working in a range of roles and countries. Merryn enjoys the diverse issues science communication allows her to explore, and believes that communication is an essential part of the scientific process with the potential to create change which benefits us all.